The Mental Health Referral Network provides Australian Institute of Sport (AIS) funded athletes with access to AIS-endorsed psychologists and mental health practitioners across the country. Elite athletes with mental health concerns are encouraged to call the service for a private discussion. A Mental Health Advisor will discuss your concerns and refer you, or the athlete you are referring to the most suitable psychologist or mental health practitioner. Friends, family, sporting organisations, general practitioners and allied health professionals can also refer athletes to the service using the contact details below. The Mental Health Referral Network is not an emergency call service. If you are concerned about the immediate safety or wellbeing of yourself or an athlete, call Lifeline on 13 11 14. If life is in danger, call 000 immediately. Lyndel completed her Doctorate of Clinical Psychology at the University of Sydney in 2005. Since then she has had extensive experience in both the sporting and clinical domains. Clinically Lyndel has worked in university settings as well as community mental health, inpatient units, drug and alcohol facilities and is now in her own Private Practice in Crows Nest, Sydney. Lyndel has been able to apply her clinical training and experience to the world of sports first through her role as Residential Athlete Counsellor at the AIS, and then as a Psychologist with the Australian Olympic Team at the London 2012 Games, and as the Lead Psychologist at the 2016 Rio Olympic Games. “The Mental Health Referral Network is a great initiative that allows athletes across the country to access quality psychological care to help them thrive both in and outside the field of play. It means that the athletes pursuing Olympic excellence have support when they need it." John has worked with athletes from a wide range of sports in private practice and in his former role with the Australian Institute of Sport, Performance Psychology Unit. He has also worked extensively with athletes from professional football codes as well as state and national sport networks, particularly in the area of mental health, persistent pain, and the psychology of sport injury rehabilitation. John has significant experience as a psychologist within a number of national mental health networks for athletes, and he has worked within the broader mental health system to gain an up to date understanding of best practice. 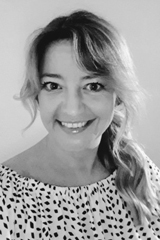 Kim is a Clinical Psychologist and high-performance specialist with more than twenty years’ professional experience in both clinical and sporting arenas. As Team Psychologist for the Fremantle Dockers AFL Club since 2010, Kim has worked with elite athletes and coaches, dealing with both on and off-field issues. Kim has consulted to the AFL Players Association and provided support for current AFL Women’s players and ex-AFL players who have transitioned out of the game. She has consulted with athletes competing at a national and international level across a many sports. In her private practice, Kim has worked with a broad range of clinical and mental health matters and coached high performing executives in the corporate sector.